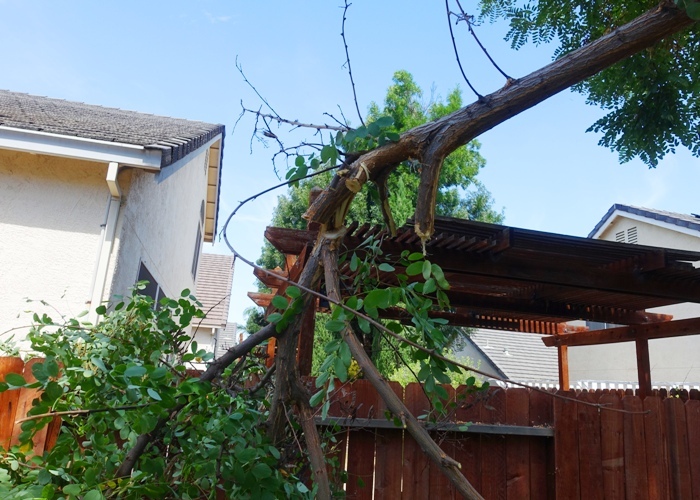 One of my tasks today was Taking Down A Limb on one of my backyard trees. I have known for some time that I would need to do this someday and should have done it long ago when the limb was not so big. 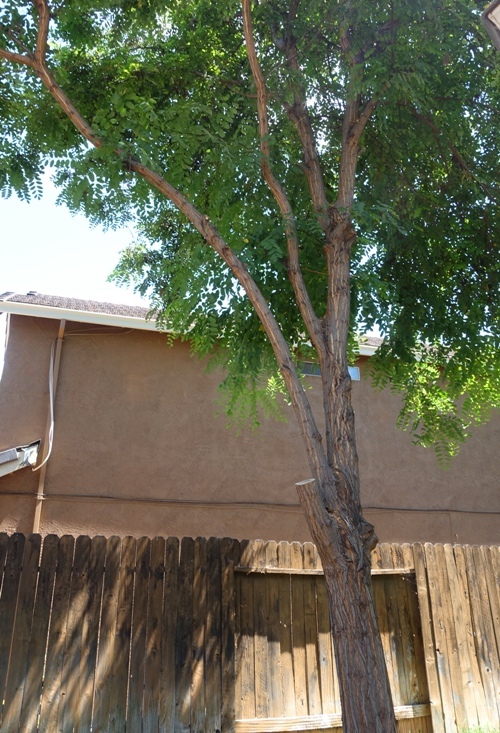 The limb on the tree was too long to just cut where it came off of the trunk of the tree, or it would have landed on the fence. Therefore I had to take down the limb in stages. 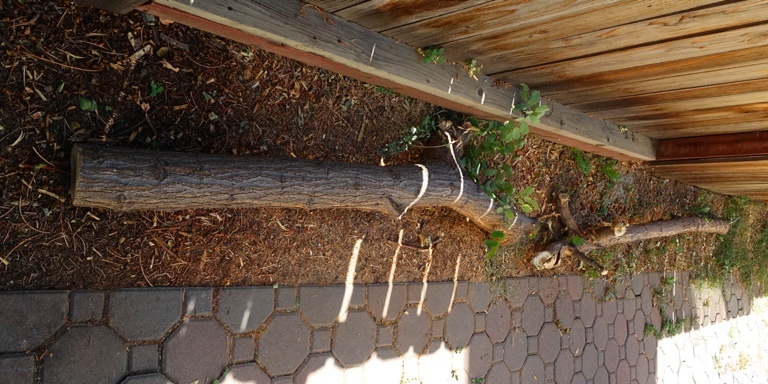 I did some quick mental measurements to see where I would need to cut the limb so it would not hit the fence when it came down. The first cut was way up in the tree, but luckily I have a nice pole saw. It was not an easy task as the limb was thick and the saw is not the best. My arms got a good workout. The limb started coming down and missed the fence by just a bit, just as planned. It was still attached, but that was also part of the plan. Once that first cut was made it was time for the second one. I knew that with this cut the limb would then only drop enough so that the first limb reached the ground. 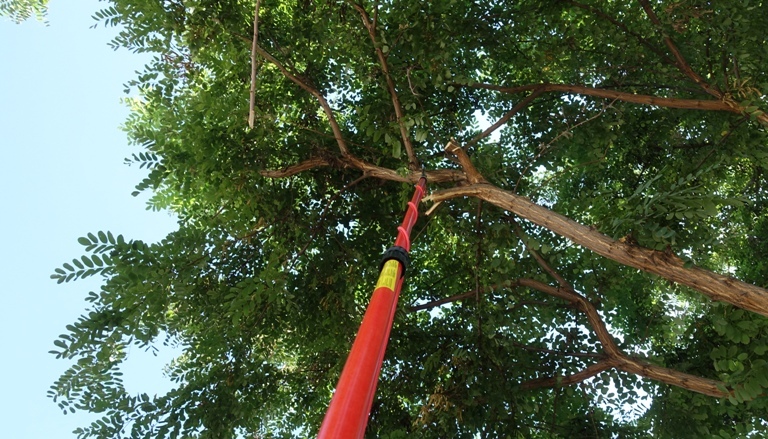 I could then clean up all the smaller branches with it supported in the air. Here you can see the result of the first two cuts. It was then easy to cut off the smaller branches. 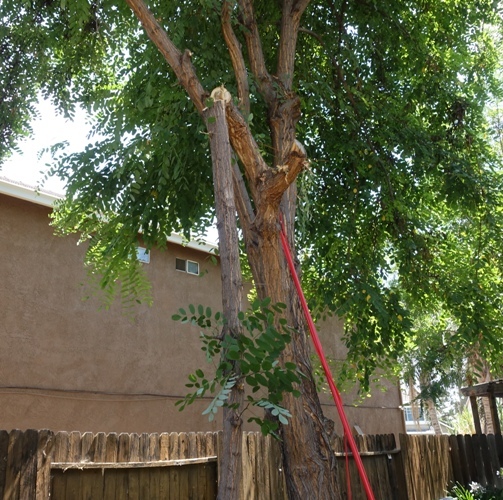 Once I finished off the first cut the limb was hanging from the second cut. It was then easy to finish that cut and bring the limb to the ground safely. I then made a third cut closer to the trunk of the tree. This one was a bit of work with my the small saw that I have, but it was finally done. Here are the two largest pieces laying along the walkway to my back yard. I will have to cut them into smaller pieces later, but it was too hot today. The rest of the pieces are in a pile in the back yard and will most likely be a project for Saturday. I have to get them all in my yard waste container. The tree definitely looks a bit better now and I don’t have to worry about it growing too far over the neighbors back yard any more. I was glad that I finished the job in the morning as it ended up being over 100 degrees by mid-afternoon. This entry was posted in Yard Work and tagged branches, limbs, lumberjack, pole saw, saws, tree trimming, Trees. Bookmark the permalink.